Greetings from Metalheads Forever Magazine, I’m Keith, How are you guys doing? Hello Keith, we’re doing great. Right now, we’re already working on new song ideas and playing live shows in Slovenian clubs. SkyEye should be new for many Metal Maniacs around the world, Would you like to introduce yourselves and the band to the readers? Ljubljana-based heavy metal band SkyEye was founded in 2014 by guitarist Grega Stalowsky, bassist Primož Lovšin and singer Jan Lešanec. SkyEye got its current line-up in 2016 when guitarist Marko Kavnik and drummer Jurij Nograšek joined the band. 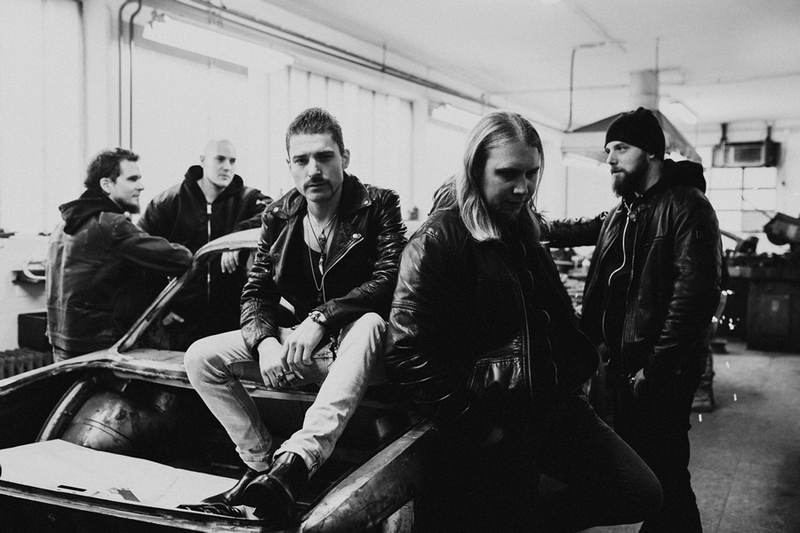 Unique and powerful vocals combined with raw and melodic guitar riffs give the band its signature heavy metal sound, reminescent of other major representatives of the genre, like Iron Maiden, Saxon or Judas Priest. Last November you guys put out “Digital God” Can you tell us about your debut album? Album was released on 9.11. in sold out Orto bar in Ljubljana. 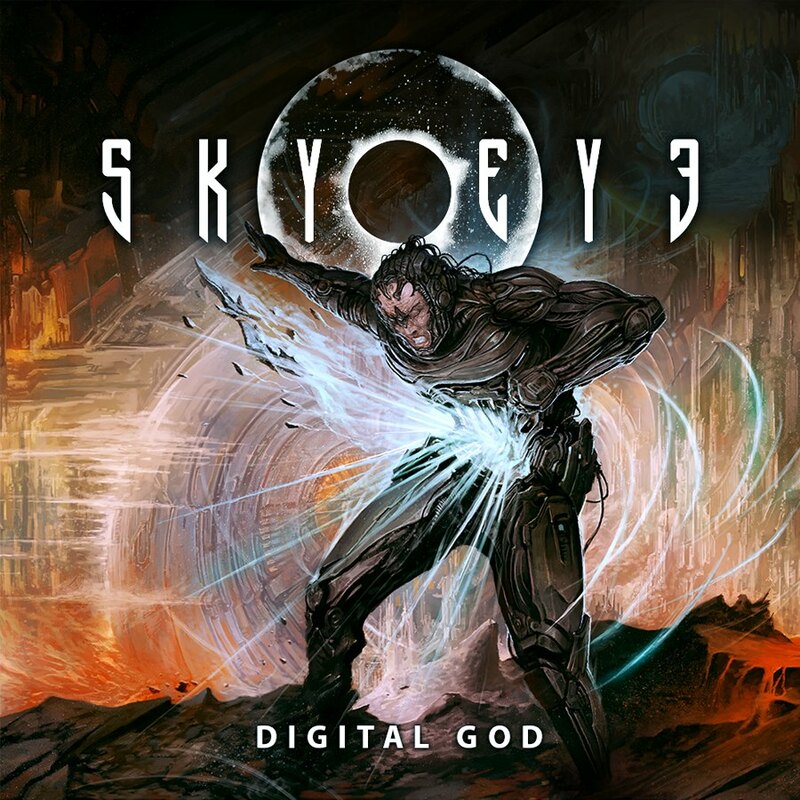 The album cover of DIGITAL GOD represents humanity, which is already almost entirely enslaved by its digital god. Yet, a sliver of hope remains for us to free ourselves from the digital shackles and hear the beating of our hearts again. The brute, fast and uncompromising title track speaks of how humanity’s vanity, greed and unrestrained abuse of technology is inadvertently creating an entity that is greater and more powerful than its creator. The day when we completely enslave ourselves is no longer far. DIGITAL GOD is a warning against the downfall of the human race. The album features nine other original tracks in English that the band has written in the past four years, including three epic songs—Galactic Wind, Tsunami and Jerusalem—whose combined duration of 30 minutes by far exceeds today’s trends of instant music. How do you feel about the outcome, what does the fans speak about the album? The response is great. Not just here in Slovenia, but also abroad. We have received great reviews from webzines and magazines, not just underground, but also big names like Rock Hard magazine. So far, so good. How does SkyEye Look into the future of Metal and what are the plans for the band? We had quite a few gigs after release and still trying to get more, to fully promote album in Slovenia and neighbouring Croatia. Check out our facebook and our official page for upcoming dates. There is a plan to do a short Europe tour in fall 2019, with a couple of Slovenian metal bands and some metal festivals in summer. As per your statement technology has taken over the world, do you think it’s a good thing or a bad thing, what is your say can humans live without technologies, or should we stick with technologies and strive to be a humans and not just living with the technologies? Well, the advance of technology is of course a good thing. Without it, humanity would still be living in caves, a hunter-gatherer lifestyle. The problem is that everything is exploited for profit, advantages and power. The technology that enables environmental clean transport is there. Also to end world hunger. But instead, countries are rather developing new advanced weapon technologies and causing world conflicts. The title track Digital god speaks of how humanity’s vanity, greed and unrestrained abuse of technology is inadvertently creating an entity that is greater and more powerful than its creator. Hopefully world leaders have enough human emotion and sense left in them, to take this rise of artificial intelligence very seriously. We’re on the verge of an era, where the AI will become so powerful, that if it turns against humanity, it could mean the end for human race. How do you feel to work with Alpha Omega Management, how do you come to know about us? Yeah, we’re very excited to be working with Alpha Omega Management. We first came across the name Alpha Omega Management on the internet and then after some personal recommendations from a couple of our befriended Slovenian musicians, we decided to immediately establish a working relationship. We hope this will extend our reach into Europe and other foreign countries and open new doors for the band, that wouldn’t have been possible otherwise. As first and foremost we love to play live, we hope that we will get a chance to present the band live outside Slovenia as much as possible. Do you have a message for the readers and fans of the magazine? Thank you very much for the chance to present our band SkyEye with this interview. We would like to invite all readers to check out our debut album Digital God. We believe we have created a really good album for all metal fans and hope to get a chance to present our music live all across the Europe. Cheers and keep supporting metal! Thanks for your time with us, We from the Team of Metalheads Forever Magazine and Alpha Omega Management wish you all the best.